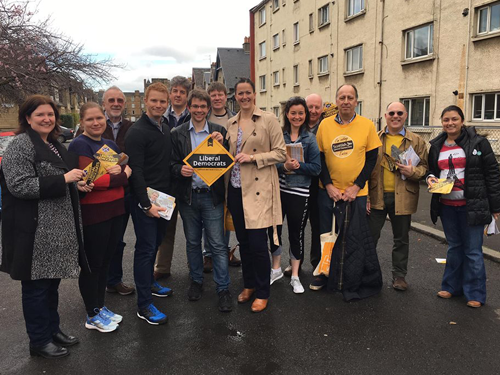 Over the next two weeks, our brilliant Liberal Democrat candidate for Leith Walk, Jack Caldwell, and the North Edinburgh and Leith Lib Dem team will be putting in a massive effort for their by-election. This weekend is the final one before postal votes go out. And next weekend is the last one before polling day. We need as many ASLDC members as possible to come and help. Jack Caldwell has said: “It has been great having support from Lib Dems from over a large area in this campaign. We have had a great reception on the doors and all the help is appreciated. If you are able to help Jack, please email him at jrmck.2000@hotmail.co.uk. Jack Caldwell is a great local candidate and, in the face of lacklustre campaigns from the other parties, we are starting to build up some real momentum. This week of the postal votes, less than two weeks ahead of the polls, is particularly vital. Please do help if you can. He is a great candidate and he’s been being received very positively. Whatever happens, thanks to Jack and the work of other activists, the Lib Dems really are building back the profile in the constituency.